Petra Ross was born in Brno, Czech Republic. She decided to make Key West her home in 1997 and lived here until 2005 when she moved to Boston, MA in order to attend the Salter School of Massage Therapy. Upon completion of her school, she returned to Key West and earned her license both nationally and in Florida. She loves helping our clients with their muscular problems. 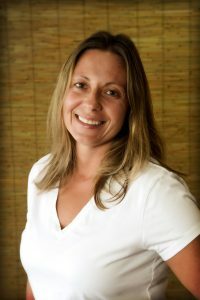 She specializes in deep tissue massage, myfascial release, clinical sports performance and neuro-muscular therapy. Petra is a state certified massage therapist who specializes in deep tissue massage, as well as pregnancy and sports massage. Petra has a Bachelors Degree in Art and still loves to paint nature scenes in acrylics, but her true passion is in the opportunity to “bond” with her clients and create an environment that will maximize their body’s balance.